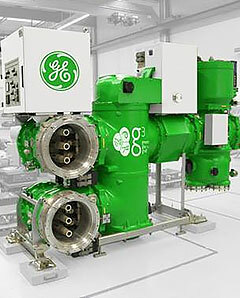 Green Gas for Grid (g³, pronounced "g" cubed) is GE's environmentally-friendly alternative gas to SF6 developed for high voltage (HV) electrical transmission equipment. 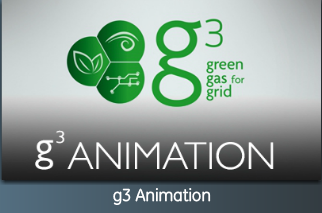 g³ products feature the same ratings and same dimensional footprint as the state-of-the-art SF6 ones, with a drastically reduced environmental impact: more than 99% less gas global warming potential (GWP), comparatively. Also, g³ products operate with no restriction under the same temperature range as SF6 products (down to -30°C). g³ is fully type-tested and available for GIS up to 145 kV, GIL up to 420kV and AIS current transformers up to 245 kV. g³ is an environmentally friendly alternative to SF6 that provides a number of technical, environmental and financial advantages. g³ is fully type-tested and commercially available for GIS up to 145 kV, GIL up to 420kV and AIS current transformers up to 245 kV. g³ is applicable in the same environmental conditions and at the same ambient temperature ranges as SF6. g³ high voltage equipment feature the same dimensional footprint as state-of the-art SF6 equipment. g³ is non toxic and falls in the same safety class as SF6. g³ Global Warming Potential represents only 1 to 2 % of that of SF6. Utilities can qualify for tax reductions or incentives related to greenhouse gas emissions reduction. g³ is a fully type-tested gas mixture that provides the same technical performance as SF6, while reducing the environmental impact. Breaking Performance : Suitable for circuit breakers. g³ has demonstrated breaking capabilities up to 420 kV. The dimensions and the operating energy are similar to that of SF6 equipment. Switching Bus-Transfer Current : Suitable for GIS disconnectors. The gas mixture has a good switching bus-transfer current capability and can be used as a substitute for SF6 for this application. 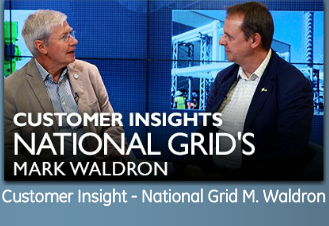 This collection of videos and industry expert talks explores SF6-free insulating gas for HV switchgear and the impacts on the environment between various mixtures including SF6 versus g³. 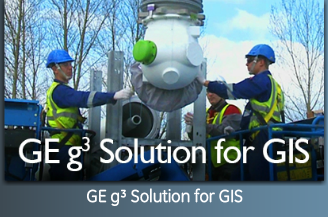 Discover what GE’s g³ replacement for SF6 gas means for HV equipment, and how this SF6 free gas is already type-tested and available for GIS up to 145 kV, GIL up to 420kV, AIS current transformers up to 245 kV.